Icing Designs: New ice cream design and DIY ice cream party hat! 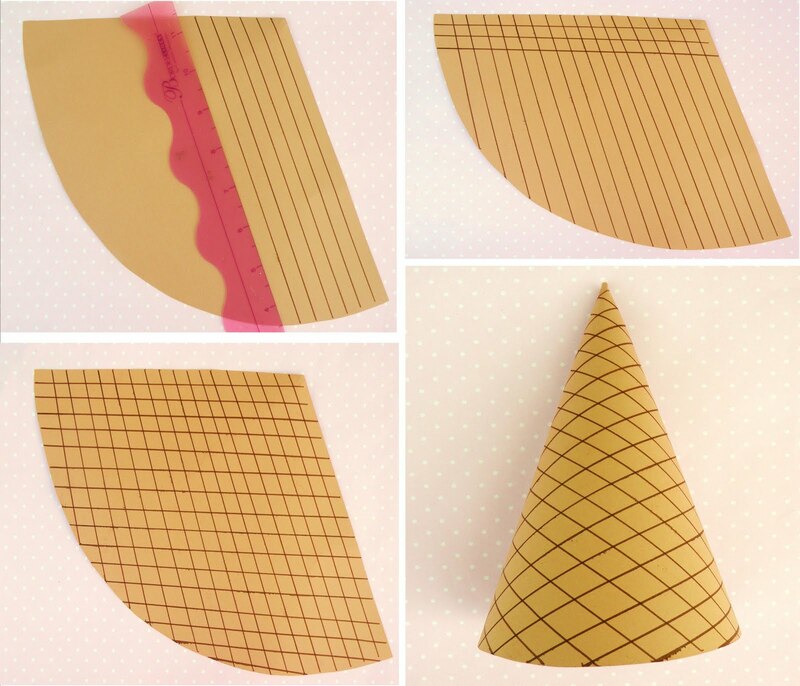 New ice cream design and DIY ice cream party hat! Last year we created this custom ice cream illustration for a customer of ours. We never added it to our shop, so we thought with the weather getting warmer...its about time we do! So, if you are having an ice cream party this summer for your little one, we also created a great DIY project to go along with the party theme...ice cream cone party hats! 1. Before you shape the hat, just draw criss crossing lines with a brown marker...to create a cone look. 2. Then shape the hat and punch a hole on either side to tie the ribbon through. glue one on top of the other, overlapping so you can see both colors. 4. You can use about 5-6 inch pieces and ruffle it as shown above, glue it under the hat, don't try to create a perfect look it can be uneven. Keep repeating until you have made it around the entire hat. 5. Once that is complete, take a longer strip of crepe paper and cut it down the center and glue it onto the bottom of the hat to cover the front where the cone hat meets the ice cream paper. 7. If you want you can even add sprinkles! We just glued a few circle scraps from a paper punch! Ugh I love these! They would be perfect for a summertime ice cream social!